I have a wonderful gift idea for kids who love to read. When I was a kid I used to really be into mythology, especially Greek mythology. 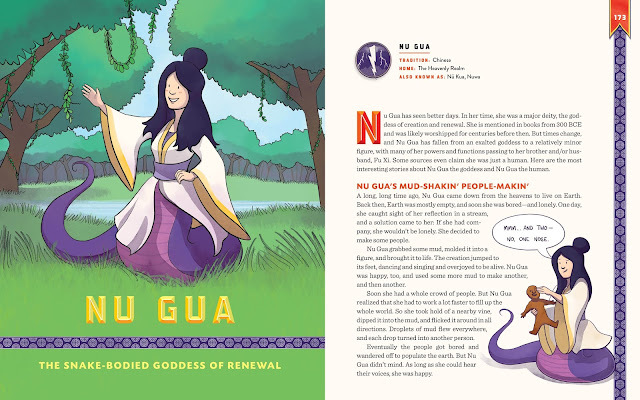 This book is about mythology around the world. 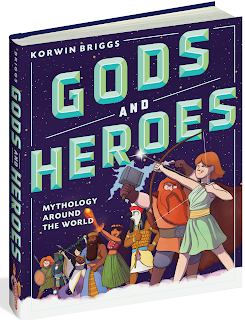 It is called Gods and Heroes Mythology Around the World. 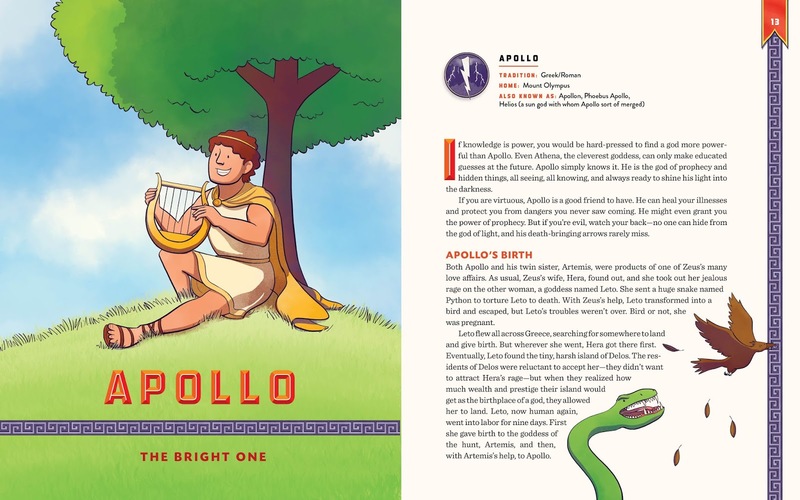 It is the perfect book for kids who are into reading about mythology from Ancient Greece, Egypt, Norse and Asian areas of the world. Before there were superheroes like Batman and Wonder Woman, there were heroes like Indra, the Hindu king of gods who battled a fearsome snake to save the world from drought. In Ancient Greece, Athena, there was the powerful goddess of wisdom who could decide the fate of battles before they even began. Okuninushi, the Japanese hero who defeated eighty brothers to become king and then traded it all for a chance at immortality. 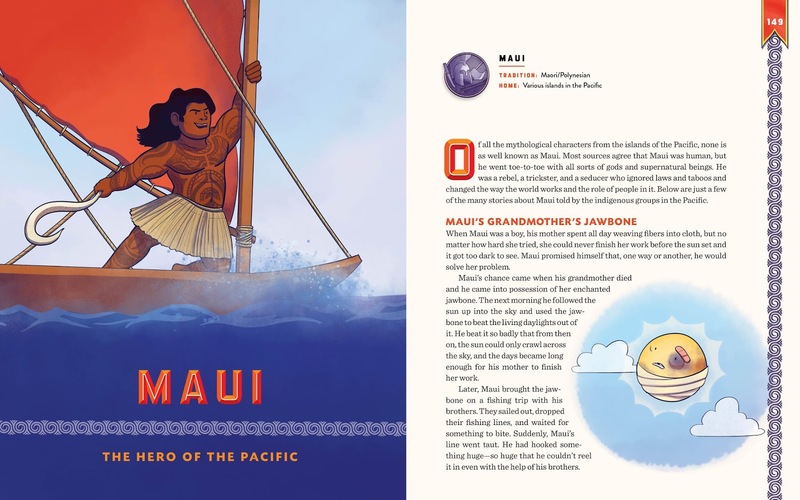 This book features more than 70 characters from 23 cultures around the world. 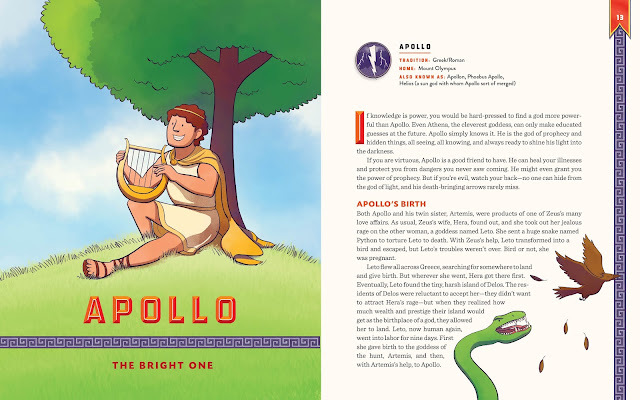 This A-to-Z encyclopedia of mythology is a who's who of powerful gods and goddesses, warriors and kings, enchanted creatures and earthshaking giants whose stories have been passed down since the beginning of time, and are now given fresh life for a new generation of young readers. Here is a look at some of the pages inside the book"
The age range for the book is between 8-12 years old. It is for 3rd to 7th graders. It contains 304 pages and comes in hardcover binding. Gods and Heroes Mythology Around the World is available from www.workman.com, www.amazon.com, www.barnesandnoble.com, www.booksamilllion.com and www.indiebound.org. Like Workman Publishing on Facebook: http://facebook.com/workmanpublishing; Follow Workman Publishing on Twitter: @workmanpub; Follow Workman Publishing on Pinterest: http://pinterest.com/workmanpub; Follow Workman Publishing on Instagram: http://instagram.com/workmanpub; Follow Workman Publishing on Google+:http://plus.google.com/114977289345677541789/about and Follow Workman Publishing on Tumblr: http://workmanpublishing.tumblr.com/.